Clywd Federation member and NFYFC senior member of the year Caroline Dawson will be heading to London on 1 September to spend the day filming an appearance on Ready, Steady Cook. She will be taking part in the quickie bag part of the cookery show and the challenge will be going to two celebrity chefs. The show will air in October or November. Check the NFYFC website for an update and pictures after the filming has taken place. Young Farmers will be helping improve the quality and availability of agricultural careers advice at a careers day at this year’s RABDF Dairy Event and Livestock Show on 16 and 17 September. The careers event at Stoneleigh Park, Warwickshire, on the second day of the show, is aimed at teachers and careers advisers and has been designed to broaden the information available through them to young people interested in careers in the industry. Invited careers professionals will learn about the current state of the industry; its future development and the implications for job opportunities; as well as information about current vacancies. Delegates will tour the YFC stockjudging competitions and speak to YFC members about their experiences and the industry jobs open to them, as well as the practical skills gained through club competitions. Members will also help highlight the range of career opportunities by giving day-in-the-life presentations on a range of roles, from agricultural consultant to vet. Read the full story in the upcoming autumn edition of Ten26. 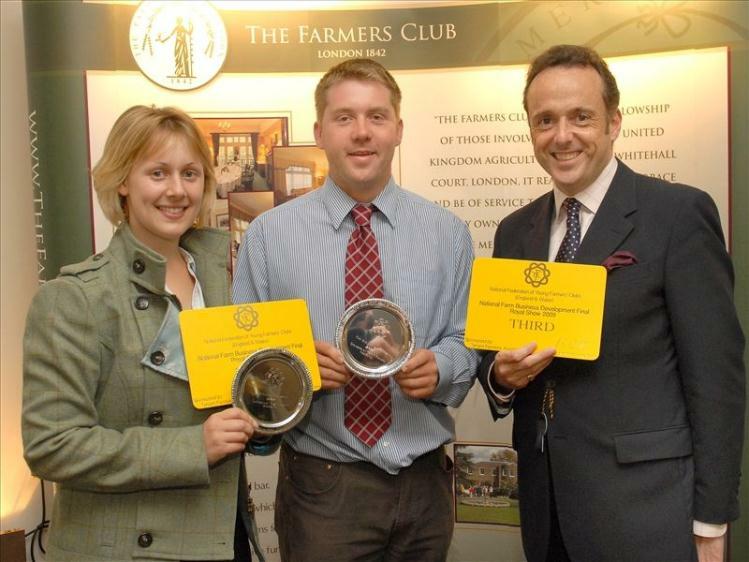 This year’s Stockman of the Year and Young Stockjudge of the Year competitions are being sponsored by Farmers Guardian. Representatives from the newspaper will be presenting the winning competitors in both national finals with their silverware. The event organisers at RABDF are offering NFYFC members and supporters reduced rate tickets to the 2009 Dairy Event and Livestock Show. Tickets are £13.50 each and are available from NFYFC only, using the booking form below. Orders and payment must be received no later than 12noon on Wednesday 9 September 2009 and the tickets will be mailed by return. Have you ever thought of improving your business skills? Well now you can with the help of the MBA Agri-Farm Scholarship scheme. Established four years ago by John Beckett, former chairman of Genus and NWF Group, the main objective of the scholarship is to offer farmers and agricultural professionals the opportunity to learn valuable business skills resulting in an MBA from the Cranfield School of Management, one of the world’s leading business schools. 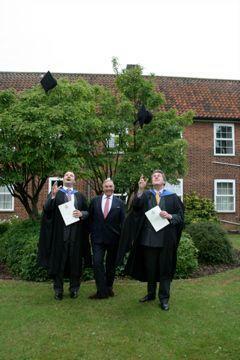 The scholarship provides recipients with a substantial contribution to the tune of £28,000 toward the cost of studying. So far, three students have taken part in the scholarship and in June two of these formally graduated (Mark Hall and Richard Milligan-Manby) and were presented with their MBA, and the third (Dan Powell) will graduate early next year. All three say the scheme has changed their lives for the better and equipped them with the knowledge and tools to improve and make changes to the businesses they are involved with. The scholarship can be completed on a full-time one-year basis or part time spread over two years. Applications for the next scholarships are now being sought and the closing date is November so if you are interested or would like to find out more information about the scholarship scheme, visit www.som.cranfield.ac.uk or call 01234 754812. Companies or organisations who would like to lend their backing and provide sponsorship to the charity would mean that more individuals within the industry could gain the business skills provided through the MBA. To pledge your support, please contact John Beckett at johnbeckett@beltoncheese.co.uk. New entrants are set to benefit from the Tenant Farmers Association (TFA) and Savills’ expertise following confirmation of Defra funding for the National Federation of Young Farmers’ Clubs’ (NFYFC) regional tenancy training events. Successfully piloted last year, the training events were initially developed to help new entrants secure tenancies and support the NFYFC’s Farm Business Development Competition sponsored by the TFA and supported by Defra and Savills. TFA chief executive George Dunn and Savills’ director Clive Beer have worked with NFYFC to address issues for new entrant tenancy training. Savills director Clive Beer commented: "Undoubtedly, one of the biggest hurdles facing new entrants to farming is the tenancy application. We are delighted to be involved in this extremely valuable initiative for young farmers and Defra's funding is a much welcomed endorsement of what we are hoping to achieve." Cornwall YFC’s Jo Maynard, who was placed third in the competition, found the exercise helpful for her career as a surveyor. She commented that clients often asked for help with the preparation of tender documents but from the perspective of running systems not creating ideas or tackling the interview process. She said the competition had provided her with a stronger awareness of interview questions and she would now be better placed to advise clients on how to respond. Both Jo and her competition partner Andrew Ham had learned from the business planning and cost analysis exercise as well as the interview process. She concluded by saying that she thought the competition had been invaluable for new entrants into farming. She would be spreading the word to members in her county to take advantage of future training opportunities. Details of dates and venues for the regional events will be confirmed later this year.